Recent re-opening of US EXIM Bank’s programs in Ukraine has caused a stir and a flurry of activity among US exporters, Government Agencies responsible for trade promotion, Ukrainian importers and non-governmental agencies working in that market. Following more than a five-year hiatus, everyone has been excited to expand US-Ukraine’s trading relationship and to increase the quantities of much-needed US exports with the aid of the Bank’s financing. After all, US exports support US jobs and help Ukraine obtain advanced goods and services needed to grow its economy. Yet, the early results of all those efforts thus far been negligible due to a dearth of local buyers able to qualify for the Bank’s financing, or trade credit insurance programs. Similar situation has been observed in a number of Central Asian markets, which have recently experienced economic resurgence and thirst for imported goods and services. 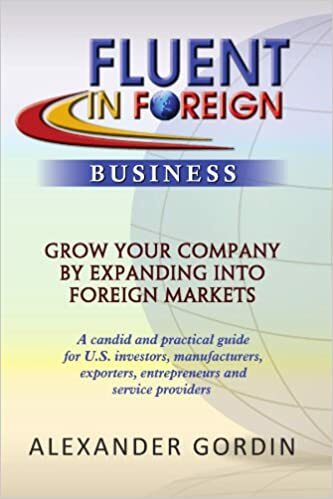 In order to enhance the ability of the US Government’s agencies to assist in export promotion and financing and most importantly in order to maximize the ability of US companies to export goods and services to emerging markets, it is vital to understand what are the services provided by the US EXIM and what external components are needed to help grow the numbers of qualified buyers and therefore real exports. Export Import Bank of the United States (US EXIM) is the official Export Credit Agency (ECA) of the US Government, whose mission is to support export of US-manufactured goods and services with a set of export financing and trade credit insurance tools. Open for business in over 120 countries, the bank has been in continuous operation since 1934 and for a good number of years of its existence has been contributing profits to the US Treasury, rather than spending the US Government’s budget funds. Although over the last several years, the Agency has become a victim of political wrangling and its long-term financing programs, those involving terms over 7 years and single transaction amounts over US$ 10 million have been temporarily crippled, the bank’s short and medium programs have continued and are fully operational. However, when trying to finance, or insure exports to emerging and frontier market countries using US EXIM’s programs, American exporters often face additional hurdles. One of the most severe of those, is finding sufficient number of qualified, or as we call them “bankable” buyers for US goods and services. The second hurdle is often lack of the so-called “15%”, a minimum amount of funds needed from the buyer to supplement the up to 85% of the qualified export amounts financed through the US EXIM’s support. a. A large US manufacturer of agriculture equipment with an established distribution network in Ukraine seeking to supply its distributors with $5-6 million dollars in equipment to be sold to Ukrainian farmers prior to the planting season. The US supplier needs to extend open terms of 6 months to its distributors, but needs to insure its risk of non-payment. The US EXIM offers fantastic trade credit insurance products, which after assessing and accepting the buyers’ financials would insure the US manufacturer for non-payment of up to 95% of the supplied goods. Yet, for purchase contracts of over $1mil., US EXIM requires the buyers to present GAAP/IFRS audited financials and in this case none of the distributors audits their financials and doing so may either be not feasible, or cost prohibitive. Since the distributors appear very financially and reputationally solid, yet unable to meet EXIM’s cursory requirements, the question becomes how to structure the transaction in order to enhance US EXIM’s product and not lose millions of dollars in sales for the US manufacturer? b. An established Ukrainian agri company is seeking to replace its fleet of machinery and upgrade its grain storage capacity with US manufactured equipment. Size of the transaction is $15 million. To preserve much needed operational cash, the company would like to arrange 100% financing of the acquisition for a term of six years. The company does audit its financials to IFRS standards, but due to a fairly small transaction size and lack of knowledge of the Ukrainian market by US banks, the company is having a very difficult time, obtaining the 15% co-financing it needs. Once again, $15 million of US exports are in potential jeopardy, what does one do in a situation such as this? To answer the above questions and to realistically address the issues, which hamper successful export financing in markets such as Ukraine, a task force consisting of a US merchant bank, international law firms, local banks, non-profits and insurance brokers has been created and effective tools developed to truly assist US exporters convert potential opportunities into real exports. Starting later this month in Washington DC, these tools will be presented in a series of workshops called “Fluent In EXIM”. The workshops also will take place both in key Ukrainian and US cities. Given the importance of the US exports to jobs creation and since US EXIM bank is operated under the the supervision of the US Congress, the workshops, in addition to expert panels, will feature members of Congress, as guest speakers. US Ukraine Business Council, a leading non-profit involved in promoting US-Ukraine economic cooperation, will be coordinating these workshops and helping to make US companies trying to export to Ukraine – Fluent In Exim(tm). With over 15 years of international business development experience as a dual citizen of Switzerland and U.S.A., Valérie is an experienced consultant, cross-cultural educator, speaker, and trainer. She offers practical insights on the essential tools necessary to achieve meaningful and profitable business results internationally. Valérie is a trilingual Huffington Post blogger and is recognized in its Business Section as an international business expert. Through her “Professional Passport® curriculum, Valérie provides training that brings the global business world into focus, bridging cultures to succeed in today’s marketplace. She is a graduate of the Monterey Institute of International Studies.